If you are anything like me, you sometimes hesitate when it comes to any big purchase. This is understandable, there are many reasons why we take a step back rather than going for something we really want. Buying a home is a very big reason we do just that. The pesky little voice in your head says things like, “Oh I don’t have that much for a down payment”, “sure is a big commitment, can I really afford it?” It can be a challenge separating legitimate concerns from what may just be nerves. Being a novice is not the biggest deal in the world, but you really don’t want to miss out on what could have been a great deal by allowing skepticism to get the best of you. Buying a home is a process that is new for everyone at some point. Being educated about common issues most people face during this time will ease your nerves and assist you with moving forward to owning your own home. Here are some common things that stress people out and derail your pursuit of home buying happiness and ways to get past them. Best of luck to you friend! Do I make enough money? / Can I afford the down payment? You may choose to buy private mortgage insurance. This allows you to put down less than 20% and will protect the lender should you default. FHA loans can have a costly form of mortgage insurance, but home buyers go with this option put down an average of only 5%. A borrower taking out a VA loan can put down just 3% and will never have to buy mortgage insurance. Many states offer assistance programs to first-time home buyers in addition to federal programs so do your research to find what best fits your needs. I already pay so much in rent / Does it make sense for me to commit to more money a month on a mortgage? These are important questions you need to ask yourself. Ideally you would be in a position where income is fair and stable, maybe your current home is on the market or sold, maybe you rent and have been saving for a down payment. The truth is owning a home is a big commitment vastly different from signing a lease to an apartment, but the investment and equity from owning is where you get tremendous payoff. Must I remind you that not every property increases in value overtime, but the majority often do increase. Owning a home can force you to save money and by deducting the interest paid on your mortgage, new home owners will find this to be a great tax benefit. You may get overwhelmed and caught up in the whole experience and believe me I get it. It is very easy to give yourself an unrealistic time frame and capricious deadlines that do nothing but add stress and lead to a hasty decision or make you walk away from the home you wanted. Allow yourself time to do your homework and weigh all options, prepare for inspections and getting approved. It is okay to negotiate when you feel there is a more appropriate price for a home that needs repair or an upgrade. 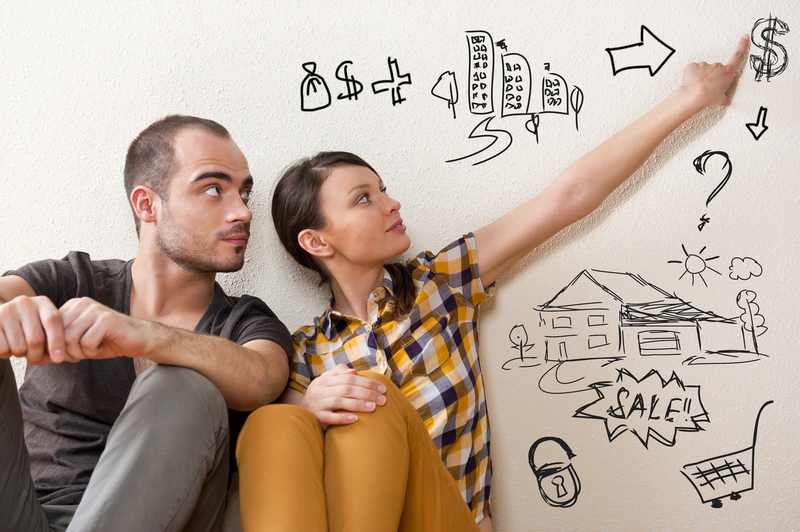 Negotiating is EXPECTED and a fundamental part of home buying that can save big money. Purchasing a home when you feel rushed can lead to a tenuous decision you may regret later. With proper planning and prioritizing, there is no reason you will not be in your dream home when the time is right for you.